Copyright Info - Making Use of Threshold Web Pages . I've noticed that many seemingly "authoritative" Reiki web sites and articles tend to state what the author believes to be facts but for some reason they leave out their sources. The reader is left to guess as to whether the author received the information in person, or through their own translation work, or whether they simply "borrowed" the knowledge from another web site, Reiki book or Reiki teacher. I feel it might help you to understand where I was able to get some of my information for this article so you can appreciate how this kind of information can come to light. The fact that a Reiki organisation ever existed in Japan was not widely known in the early 1990's. The first I learned of such a group was in 1996 from Dave King, who in the previous year had visited the Vortex Reiki school in Tokyo, run by Toshitaka Mochizuki. One of the school's teachers (Takahashi-san) was a member of an old Reiki society which we were later to discover was called Usui Reiki Ryoho Gakkai. The following year (1997), I received pages from a 1986 Japanese magazine that held an article on Reiki. The article mentioned the existence of the original society and the fact it was still in operation after all this time. It included an interview with one of the senior members, a Reiki Shihan (teacher) named Fumio Ogawa who was in charge of the Shuzuoka district south of Tokyo. It also revealed the existence and location of a large memorial to Usui Sensei at the Saihoji Temple in Tokyo. With the help of 2 of my Japanese students, Shiya Fleming and Emiko Arai, I placed a rough translation at my web site. (Recently I had the complete article translated). More information continued to gradually flow outside Japan and in 1999 my friends and I hosted a Reiki conference here in Vancouver, featuring Mr. Hiroshi Doi, a Gakkai member since 1993. Arjava and many other well known Reiki Masters attended as well. Doi-sensei was actually there with the permission of his teacher, URR Gakkai past president Ms. Kimiko Koyama. Doi-sensei taught us many old techniques formerly used in the Gakkai (they were no longer part of the Tokyo branch's training) and he shared some of it's history and past presidents as well. Much of this was presented in his book "Iyashino Gendai Reiki Ho" ("Modern Reiki Method for Healing") which I helped to get translated and published. Doi-sensei continued to make presentations at URRI conferences in Kyoto, Madrid, Toronto and Denmark from 2000-2003. One piece of information Doi-sensei shared was that the Gakkai had only one Shihan in each branch and that they could operate somewhat autonomously from the Tokyo headquarters. In 2002 I was given a copy of Mochizuki's 2nd book published the previous year - Cho-Kantan Iyashino Te. It contains a chapter dedicated to the Gakkai and includes a group photo of Usui Sensei, his family and Gakkai members, as well as separate photos of a couple senior Gakkai members. In 2005 I finally managed to get a translation of that chapter. It has details of some of the better known Gakkai historical figures. You might recall the name Mochizuki from another of my pages that deals with his first book, "Iyashino Te." Mochizuki-san enjoys collecting old, out-of-print Reiki books and he gets them re-published. I have a few in my possession and am slowly getting information out of them thanks to my Japanese students. Another source about early society members and Usui's original school showed up again via Dave King, in the form of one of his teachers - a senior student of Usui Sensei named Tenon-in (her temple name). Dave shared much of this at the URRI conference I hosted with Tom Rigler in 2002. Dave will have more information in his soon to be published book "O-Sensei: A View of Mikao Usui." I've had the pleasure of proof-reading it for him. Finally, I have to thank all my students and associates who over the years have offered to do translation work for me. Even though I have always either paid for this or offered some form of compensation like free classes, I am still very grateful that these wonderful Japanese Reiki practitioners would take the time to perform this challenging work. I also would like to thank Masumi Yamashita, PhD, for often reviewing the translations to improve them, and Tom Rigler for his dedication to improving the grammar of many of the translations. So let's look at some of the information all of the above brought to light. "In April of the 11th year of the Taisho period (1922) he (Usui) moved his residence to Harajuku, Aoyama, Tokyo. There he founded "Gakkai" (a learning society). He taught Reiki Ryoho." The president of the society in 1926 was the very influential retired rear admiral Juzaburo Ushida. Ushida was about the same age as Usui Sensei. He showed up in the Usui dojo in November 1925 along with retired rear admiral Kani'ichi Taketomi and 17 other junior officers of the navy. It is not known what enticed them to attend the dojo, but it is possible they had learned of the experiments of senior Usui students with applying high energy Ki (attributed to Usui Sensei) to non students acting as patients. According to Tenon-in, Ushida took charge in the dojo right away. She said that Usui Sensei did not protest much as the navy's attendance was helping to pay the bills. However, from time to time he did express some concerns over ideas presented in the dojo, such as when the navy people began chanting the Gainen over and over while sitting on the sides of the dojo. As early as 1923, Usui Sensei was renting the dojo out in the evenings so that other lecturers could present their ideas. One person who took advantage of this 2 evenings a week was Usui's senior student Toshihiro Eguchi, whom he had originally taught in Kyoto in 1921. Eguchi had completed the entire Usui-Do training to Shichidan level and in 1923 began teaching his own version of Usui's training (simply called "My method" by Usui or Usui-Do) which became known as Usui Teàte to his students. Eguchi was a school teacher, a natural healer (according to Mochizuki's original book "Iyashino Te") and he had actually been teaching a version of this system in Kyoto before he showed up in Tokyo in 1923. Usui Sensei would sit on the side of the dojo and keep watch over these classes, but he did encourage his other senior students Tenon-in and her friend Yuri-in to observe. Eguchi introduced a small transformation marking ceremony (borrowed from a friend) given to each student in class (which later led to the use of Reiju in the URR Gakkai). He may have been trying to emulate the simple end-of-class blessing Usui Sensei would give to the entire class after his sessions. Eguchi also brought in outside material including a recently published booklet containing many teno-hira or hand techniques for applying healing. In 1925 he even began inviting non-students into the dojo in order to experiment with placing high energy Ki near another person. In mid 1925, a retired navy surgeon captain named Dr. Chuujuru Hayashi had also shown up in the dojo. Tenon-in said he always had a nice smile. He and Eguchi began to explore applying Ki or healing energy to non students. 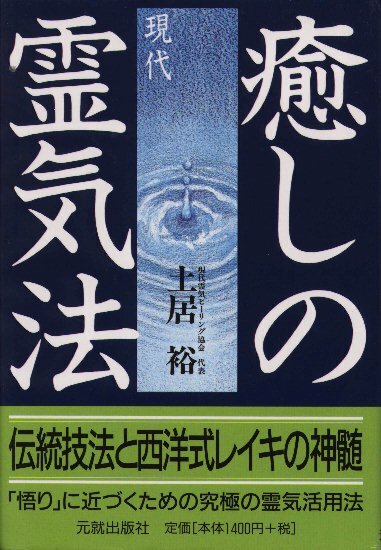 They tried out the ideas in Eguchi's booklet and Dr. Hayashi suggested a simple cleansing technique (from Qigong or Kikou origins) called Kenyoku-ho to prepare the practitioner before each healing. He was asked to write some kind of procedural material and he introduced a Ryoho Shishon or healing guide for applying Ki to various body parts depending on the injury or illness. Eventually these would become part of a booklet the URR Gakkai would give to their new students. It was called Usui Reiki Hikkei. As Eguchi and Hayashi explored the healing of others, it may have been this possibility that lured Ushida and the navy to investigate. A growing navy might require more resources for healing the wounded in battle. However, unknown to Ushida and Taketomi, Dr. Hayashi had continued instruction in the original Usui-Do and became the only other doka (student) besides Eguchi to achieve the complete training to Shichidan level..
Tenon-in said that when Ushida and the others graduated with the new Shinpiden level, there was great celebration and sake. It is reported that about 22 people attained this level around this time. The students who completed this training in January 1926 and thereafter until Usui Sensei's passing (March 9), considered themselves permitted to teach. However, later on in the URR Gakkai, the ability to teach (Shihan) was limited to others as this part was split from Shinpiden. They also would have attributed Usui as their Sensei since he was the head of the dojo, although Tenon-in reports that he did not actually teach Usui Reiki Ryoho nor even the Usui Teàte. He would just sit on the side and observe. It was most likely Eguchi who was the senior teacher at this time, assisted by Dr. Hayashi, and as I said, motivated by Ushida. After Usui Sensei's passing, his will stated that Dr. Hayashi should run the dojo. At some time in May the dojo was closed at it's Nakano-ku location and moved to Hayashi's Shinano-Machi clinic. This seemed to be the place to get good practice as Dr. Hayashi had 8 treatment beds (tables raised a little off the floor, possibly with a futon on top) and he assigned 2 practitioners per patient. One of his senior (Shichidan) students Tatsumi-san (1927-31) recalled seeing the 2 retired admirals (Ushida and Taketomi) helping at the clinic. Around this time some of the Shinpiden began their own schools, most notably was Kaiji Tomita, author of “Tomita Téaté Ryoho", one of the earliest books on Reiki. Within a year of Usui Sensei's passing, Eguchi had left the society to form his own school - Tenohira Ryoji Kenkyukai - apparently after having a disagreement with Ushida. He also wrote a couple of books, one titled “Tenohira Ryoji." Eventually Dr. Hayashi also left the society in 1931, possibly due to changes he was making in his system of teaching. He formed his own school which he named Hayashi Reiki Kenkyukai (research centre). Tatsumi reported that he and 4 other senior students were upset by the changes he was making and they left the clinic and school. Up until this time, Dr. Hayashi was still teaching the original Usui-Do process, as well as the modified version Eguchi and he had come up with. Thanks to Eguchi and Hayashi, and the efforts of Ushida and Taketomi and others, the society began spreading Reiki throughout Japan at a very fast pace. Reportedly there were as many as 60 or more URR Gakkai branches throughout the country before World War 2. The following chart shows some of the key members of the URR Gakkai and the list of presidents (and their teacher). .Thanks to Reiki Master Miyuki Iwasaki for the original chart idea. In Mochizuki's book "Cho-Kantan Iyashino Te", he has a chapter where he shares some of the history he has been able to discover about some of the Gakkai members. Below is an excerpt from that section. Toshitaka Mochizuki's "Cho-Kantan Iyashino Te"
According to Seiichi Sasaki-sensei, who was a leading scholar of Sai-Science and a researcher of hands on healing, the reason for Reiki being wide spread in Japan before the Second World War was that Ushida-sensei greatly supported Usui Sensei through his personal connections and society. The Fourth President, Yoshiharu Watanabe-sensei (Philosopher, Professor in Takaoka Commercial High School - December 1960) was remarkably good at treatments. When teaching at the high school, he managed to revive a critical student. Adding a 30-minute tanden treatment, he cured a Gakkai member’s sick child. The child had an epidemic disease and had been told that there was no hope by a doctor. He received deep gratitude from the member. After the war, he trained members as President of the Gakkai at the headquarters. His wife studied with Watanabe-sensei and often gave treatments. The Fifth President, Hoichi Wanami-sensei (Navy Vice Admiral, 1883- January 2, 1975) was truly mild and generous. He was soft smiling, had many acquaintances, and introduced Reiki Ryoho at many places. After coming to an advanced age, the Sixth President, Koyama-sensei took over his patients’ treatments. He studied about keeping good health, especially about seniors’ health, and often gave lectures at many different circles. Also, he was so fit that he could climb Mt. Fuji at the age of ninety. From the middle of Showa 30 nen (1950s) to the beginning of Showa 40 nen (1960s), he actively traveled for teaching to branches across Japan, since there were many local branches that were inactive. The Sixth President, Kimiko Koyama-sensei (1906-1999) held workshops four times a month. The number of Gakkai members reached over 600 people because of sensei’s extraordinary teaching skills and personality. Also, the number of branches grew to 13 and those members reached 250. Koyama-sensei left some important journals by publishing bulletins and books (not for sale). The Seventh President, Masayoshi Kondo-sensei became President in 1998 and leads to the present. Let’s write about the other important teachers. Chuujiro Hayashi-sensei (Navy Captain, 1879-May 5, 1940) was one of among 19 Shihans appointed by Usui Sensei. He was extraordinarily talented at treatment. In his large clinic at Shinanomachi, 8 beds were always full; especially, many Rien (Kabuki actors) came to the clinic. Also, he gave training to his students. Among them, a famous playwright, Shouoh Matsui-sensei contributed to the spread of Reiki. Although I am skipping the detail of Hayashi-sensei because of limited space for writing, as had been mentioned in the First Chapter, by Hayashi-sensei’s taking an active part, the Reiki method was spread over the world by the efforts of Hawayo Kawamura Takata-sensei. In addition, while Hayashi-sensei was visiting in Hawaii, indeed 350 people received training. This was widely reported by the local Japanese newspaper. Umetaro Mitsune-sensei (1865-June 22, 1934) was one of the nineteen Shihans appointed by Usui Sensei. He was active in the Kansai region. After Usui Sensei’s death, he was actively involved in teaching as an assistant when Hayashi-sensei came to the Kansai region. Accepting requests to teach, they also held seminars in Shodoshima, Wakayama, and Hiroshima. In Suma, a rich family invited Mitsune-sensei to hold a seminar for the purpose of the entire family’s learning Reiki and obtaining membership in the Gakkai; in Minoshima, the owner of an orange (mandarin) farm took care of Mitsune-sensei and opened his house for many Reiki students during a five-day seminar. He had a lot of sympathizers for his teaching. His wife was Imae Mitsune-sensei. Tetsutaro Imaizumi-sensei (Navy Rear Admiral) gave training at the headquarters; meanwhile, he made business trips to regions to teach Reiki. Shiro Isoda-sensei (Principal) learned Reiki from Ushida-sensei and then from Usui Sensei. He became the manager of the Hiroshima, Kyoto, and Suma branch. He was a scientist so he thought about Reiki Ryoho scientifically. He was good at giving treatments, too. Imae Mitsune-sensei (Musician) was the above-mentioned Umetaro Mitsune-sensei’s wife. In her book, Kyujyu nen no Ayumi (the Ninety Course of History) published October 10, 1967, some very important information was written such as the number of students learning Reiki from Usui Sensei; and the accurate date of Shihan Denju training. She operated the Suma Branch in Hyogo prefecture and gave treatments to many people. She was involved in teaching until she became 103 years old. Fumio Ogawa-sensei (1908-1998) published Reiki wa Darenidemo Deru (Everybody can Emanate Reiki) at his own expense, August 1991. A journalist from the magazine, Twilight Zone (an issue of April, 1986) interviewed him. Influenced by the magazine, he played an active part in teaching Dento Reiki, a traditional Reiki method. I received several trainings from him. He gave me Reiju directly and held workshops. When he was still young, he learned Reiki from his father, Kozo Ogawa-sensei. Kozo Ogawa-sensei was a Shihan and left many episodes of treatment. Note: I have recently had Ogawa-sensei's book translated and plan to share some sections at my web site. Mr. Doi related that after the war, there was some concern about the Gakkai being led by a military person. At the time, Admiral Taketomi was the president. He decided to step down temporarily and Yoshiharu Watanabe took his place. Watanabe was president for less than a year when Taketomi felt it was acceptable for himself to return as president. Mr. Doi also explained to me that over the years there were some Shihan who walked away from the Gakkai, sometimes over some policy or another. Due to this and also to attrition, by the early 1990s the number of branches diminished to 5. Part of this was due to the affect the war had on the society, especially the headquarters in Tokyo and all the bombing there. It had to be moved often and it is possible some records were not preserved. An example of the disruption in communication involved one of Taketomi's students named Mrs. Ayako Sasaki who was the head of the Hiroshima branch. After the war she lost contact with the society but felt she did not have the authority to continue on as the URR Gakkai. So she continued to run a school privately and it seems she eventually simplified much of the Gakkai's ways. In 1982, Doi-sensei learned a simple healing system (teàte) from a colleague named Hiroshi Ohta, at the Hiroshima hotel Doi-sensei managed 3 days a week for his firm. Ohta taught Doi-sensei a very simple but effective energy process that included giving Doi a very simple reiju (attunement) to each of his hands each day he met him - usually whenever they went to a restaurant. Ohta taught him until 1984 when Doi was transferred back to Ashiya. But before he left, Ohta introduced Doi to his sensei, Mrs. Sasaki. In 1998 when Doi-sensei published his Reiki book - Iyashino Gendai Reiki Ho - he learned from another Sasaki student that she had been a Gakkai Shihan, and that what he had learned from Ohta would have been Reiki. The Gakkai verified this for Doi-sensei and accepted his training as valid. Just before Usui Sensei's transition, the system known as Usui Reiki Ryoho came into being due to the influence of Ushida. It seemed to release the original higher levels of Usui-Do and Usui Teàte which were more focussed on spiritual development, and instead embraced the healing concepts that Eguchi and Hayashi were exploring. The levels were now known as Shoden, Okuden and Shinpiden, although each level may have been divided into 2 to 4 segments. Originally a Shinpiden was given permission to teach. At some point, when many chapter or branches of the URR Gakkai were established throughout Japan, Shinpiden became more of a supportive level to the branch teacher or Shihan. A Shihan then was only designated when the existing branch leader retired, resigned or passed away. However, Shinpiden often helped out in classes and might even give initial Reiju to students. After 1931, Dr. Hayashi also used these 4 levels of designation although Mrs. Takata seemed to combine the 3rd and 4th back into one level. In any case, she did not confer Shinpiden/Shihan on anyone until 1976, almost 40 years after she became a teacher. retired, resigned or passed away. The Shihan would hold classes on a periodic basis, usually with the first level or Shoden being in a group format. Okuden and Shinpiden might be held on a one-to-one basis. Each chapter of the Gakkai would hold monthly meetings and members were permitted to attend meetings of other chapters. Doi-sensei said that membership was less than $100 and you would pay about $15 to attend the meetings. I learned elsewhere that you might also pay for training in some chapters, but perhaps this did not seem to be so in the Tokyo chapter. (note that according to Yamaguchi-sensei of Kyoto, Dr. Hayashi's classes cost about 50 yen, which in 1938 was equivalent to $5000). Chapters may also hold monthly healing sessions. I was told the Osaka and Kyoto chapters at one time did this and that they were open to non members. Doi-sensei has said he attends the Kobe chapter healing sessions and has been allowed to bring some of his students. A Shoden class would be held over 4 to 5 days (or evenings), about 2-3 hours a day. Class was mostly a lecture format, depending on the teacher, but practice time might be allowed. In each class the student was given Reiju so as to assist the student to develop their own Ki. In this case, the teachers were presenting their own version of the highly developed Ki that Usui Sensei had exhibited, and this Ki became known as "Reiki." The purpose of giving Reiju in each class was so that as the student integrated and became more familiar with the energy, their ability to flow it in increased strength would grow. The student was expected to assist this by practicing Reiki each day, presumably on themselves, and to flow Reiki as they meditated or reflected on their day. The latter was suggested by way of a mindfulness ceremony called Hatsurei-ho, and/or by thinking on the Gainen or principles that Usui Sensei had written out for his students. Originally, Usui had taught students to live his Gainen each day, not merely to recite them. Even today this is the mark of a person who has integrated Reiki and the Gainen into his or her life, the ultimate goal in original Usui Reiki Ryoho. The purpose of giving Reiju in each class was so that ... their ability to flow it in increased strength would grow. They were encouraged to learn all techniques beginning with the simple Bu or hand positions for self, and Dr. Hayashi's Ryoho Shishon (healing guide) - mainly the first part involving the treatment of body parts. However, much more emphasis was placed on Byosen Reiki Ho (scanning) and Reiji Ho (intuitive work) as the preferred ways to heal. Doi-sensei said that the Ryoho Shishon was given mainly as a beginner's guide to assist those who had had not developed Byosen or Reiji. After the first set of classes, the student was encouraged to retake them as often as they wished. This helped the student to develop and understand all the doctrine and healing methods taught. In traditional Japanese society, usually a student might not strive to move up in the ranks, but would be more focused on achieving an adeptness at the level he or she was currently at. So some people might remain permanently at Shoden. Once a student had mastered the Shoden techniques, they had only to achieve a certain energy rating for their ability to flow Reiki energy. During class or at a gathering, the Shihan would quietly or formally rate the student's Reiki energy, using a scale of 6 to 1, 1 being the highest rating compared to that of Usui Sensei. The method to measure this might be taught at Shinpiden level and the student could ask their rating of their sensei, although as a rule it was not revealed to others. In order to attain entry to Okuden the student had to achieve a rating of 3. Usui Sensei was said to have rated himself a 2 in the belief that someone would one day surpass him. However, out of respect for him, a student might never be rated beyond a 3, nor would a Shihan publicly acclaim a rating of 2 or 1. Doi-sensei told me that a student might be invited to Okuden level if he was still Shoden after 10 years and had still not attained a rating of 3 nor was able to competently demonstrate Byosen Reikan-ho and Reiji-ho. Okuden was divided into at least 2 segments, and in some branches into as many as 4 segments. The usual were Zenki and Koki. A list of the techniques taught at these levels are at my Usui Reiki Ryoho Gakkai Techniques page (thanks to Doi-sensei). These were first introduced by Eguchi in 1925 from a hand published booklet he had obtained. Melissa Riggall, an Usui-Do Shihan, also discovered a copy of this Japanese booklet in a Taoist retreat near Harbin, China. It was dated 1923. The concepts of the traditional symbols were taught at Okuden level although not in the form originally taught by Usui Sensei, nor in the form later modified by Eguchi. The Gakkai dropped the use and teaching of the actual symbols and simply taught a form of the kotoba (word) to be used in a chant or kotodama. Some Japanese teachers have used the term "jumon" which is used for a word of magic. The symbols and their purpose actually came from old Taoist teachings Usui Sensei discovered within Tendai Buddhism, verifiable by their presence in Taoist teachings in China. The kotoba however were the Japanese forms of the Chinese. The kotodama also changed over time and seemed to leave out the hard sounds of the original. I am guessing this was done because the original kotoba would have a meaning to to the Japanese student (as each was an actual Japanese phrase) and thus to eliminate any distraction to working with the required energy, a revised kotodama was adapted. Students learned to allow these energies to simply be a part of their own Reiki and did not seem to use them outwardly in their healing or personal work. It was Dr. Hayashi who retained the use of the original symbols (and kotoba) and explored their use with his healing work. This explains why Takata-sensei made them a part of her own teaching. While Usui Sensei had taught that these kotoba and symbols were intended to awaken the awareness of certain inner potential, the URR Gakkai taught that all the energies of these symbols were actually present within Reiki. Each of the Gakkai's Reiju were exactly the same, regardless of the level being taught. Okuden could take a long time to complete, depending on the Shihan. And over time some branches like the Tokyo one, actually discontinued teaching many of the old techniques. Doi-sensei had learned these from other Gakkai members before the 1998 publishing of his book "Iyashino Gendai Reiki Ho" when one member loaned him a copy of a Gakkai booklet called "Usui Reiki Shiori." It seems Doi-sensei was able to confirm their use with some Gakkai members as well. Meanwhile, Arjava Petter received a copy in 1998 from a friend of the Ogawa family (Mr. Oishi) after Fumio Ogawa's death. Mr. Ogawa and his father before him had been the Shihan of the Shizuoka URR Gakkai branch. The Kyoto branch version of these techniques that I learned in 2004 were slightly different than those Doi-sensei had learned from Tokyo. At some point in time, usually after many years of membership, a student who had completed Okuden might be invited to Shinpiden level. Doi-sensei said in 1999 that he knew of at least 12 of these, and they would all have been very old members. As expected, at this level the fourth kotodama was taught along with it's purpose and use. The student might learn one or more methods of giving Reiju, and also some of the old spiritual concepts of Usui Sensei might be taught. At some point, the student might also be shown the original versions of the symbols for historical purposes. Ogawa-sensei had said that the use of distant Reiki was taught at this level, but this may have changed later to Okuden. The method of giving Reiju was revised from time to time, but a Shinpiden might learn not only his current Shihan's style, but also that of Ushida. Doi-sensei shared a couple old versions with us during the URRI conferences in Madrid and Toronto (2001 & 2002). The ceremonies were much simple than those used in Western Reiki. A Gakkai Shihan only used one form of Reiju for each of the first 3 levels. It was identical in form for every Reiju given in class and in the weekly meetings. A Shinpiden might assist in the training of students during a Shihan's class, and even in the giving of Reiju. However, Shihan and Shinpiden taught only within their own branch and did not have separate schools outside the Gakkai. When a Shihan resigned, or passed away, a new Shihan was selected either by the out-going Shihan or the URR Gakkai president. In 1998 when Koyama-sensei stepped down as Tokyo Shihan and Gakkai president, there were no Shinpiden interested in taking her place. According to Doi-sensei, she raised 5 Okuden to Shinpiden and then to Shihan status. 2 of these were the latest president of the Gakkai and Tokyo chapter Shihan, Masayoshi Kondo, and Koyama-sensei's granddaughter, Makino-sensei, who is the current vice president of the Gakkai. When Shihan level was conferred, the simple ceremony Usui Sensei used was performed and taught as well. Usually the Shihan could operate his or her branch in the way they wished, and in certain cases may not even attend the Tokyo meetings often. Doi-sensei said that one change made after Koyama-sensei stepped down was that all teaching was now being given at the Tokyo branch. This may have been due to the resignation of some Shihan upon learning of the promotion of Kondo-sensei. Supposedly at the time he was not in favour of teaching foreigners (a practice which was also frowned upon by a large number of Gakkai members) and so one or more Shihan may have pulled their membership out of the Gakkai. Since Doi-sensei's training was passed over to Kondo-sensei after Koyama-sensei passed away in 1999, it may be that he has been able to change Kondo's feelings about this. Doi-sensei has traveled outside Japan and taught several times, and thus has had a chance to determine the Reiki situation in several countries in person. Originally a Shihan might also be a sort of spiritual resource for the student, but of course all Japanese were Shinto and Buddhist from birth. This type of spiritual guidance did not seem to be present in Dr. Hayashi's teachings nor Mrs. Takata's, at least not to the extent where the teacher was responsible for the students' Spiritual progress. Thus Takata-sensei's term of "Reiki Master" for a Reiki Shihan may seem a bit misleading to many Westerners. Note that "Shihan" translates to "teacher" or "example." From the view point of the actual society presidents, here is a table showing the leaders' time in office and and their date of transition. Note that Taketomi served 2 terms. According to Doi-sensei, this was because after the war there was some concern about having the military seeming to be in charge. So Watanabe stepped in for a brief term as president. Note: This article was written before Mrs. Koyama resigned as head of the Usui Reiki Ryoho Gakkai on January 17, 1998. Koyama-sensei passed away December 3, 1999. In August (1997) a Reiki Master friend of mine, Shiya Fleming was in Tokyo visiting her family. During that time, Shiya had the opportunity to visit with Mrs. Koyama, the head of the Reiki society (at that time), and received a Reiki session from her as well. Mrs. Koyama was 91 years old and was taught Reiki around the age of 21. Although she was around at the time of Mikao Usui, she never met him. She learned Reiki from her late husband who was a navy man like Mr. Usui, and also from Mr. Taketomi. When her husband was offered but turned down the position as head of the society, Mrs. Koyama accepted the responsibility. Shiya said that Mrs. Koyama is able to tell where your illness or injury is simply by watching you as you enter the room, and she receives inner messages as to where to place her hands during a session. Her hand placements are done with the palms open as in most western Reiki disciplines, and Shiya received the treatment in a reclining chair. Although Mrs. Koyama is the society head, Shiya said that her calls are fielded by her daughter, Makino, who is very protective of her and refuses most requests (and apparently all foreigner requests) to visit with her mother. Shiya had lived near the same neighbourhood as Mrs. Koyama so she simply went over and was allowed the visit. Shiya also visited the public Usui grave site and found it to be a very nice and peaceful place. She took some nice pictures of the temple grounds.